PDF2Image is command-line program for high-quality conversion from PDF to various image file formats (e.g. PNG, JPEG, BMP, TIFF and RAW). 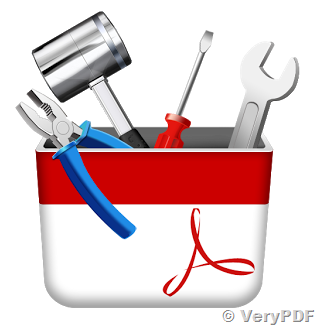 PDF2Text is a command-line software for high-quality and efficient text extraction from PDF. PDF2Text can be used to extract text from any PDF document as Unicode or as structured XML. PDF PageMaster is a command-line utility for splitting, editing, merging and securing PDF documents. PDF2XPS is a multi-platform stand-alone command-line application for high-quality and relaible conversion from PDF to XPS (XML Paper Specification). The high-quality conversion maintains the original document quality and preserves hyperlinks, colors and fonts. PDF2SVG is a multi-platform command-line application for high-quality conversion from PDF to SVG (Scalable Vector Graphics). PDFSecure is a multi-platform command-line utility used to secure PDF documents as well as remove, or change security settings on existing PDFs. SecurSign (PDF Security and Signature): Encrypt, Digitally Sign and Verify Digital Signatures on PDF Documents. PDF to PDF/A Converter: Convert existing normal or image PDF files into fully searchable ISO 19005-1 and ISO 19005-2 compliant achievable documents. TIFF to PDF Converter: Convert legacy scanned TIFF documents into fully searchable and achievable PDF/A documents. VeryPDF PDF Automation Server – Workflow PDF Server, Windows/Mac/Linux PDF Workflow, Cloud PDF Workflow, Automate PDF Generation, Conversion, Printing, Emailing, Storing, etc. operations. This entry was posted in VeryPDF SDK & COM and tagged pdf software. Bookmark the permalink.